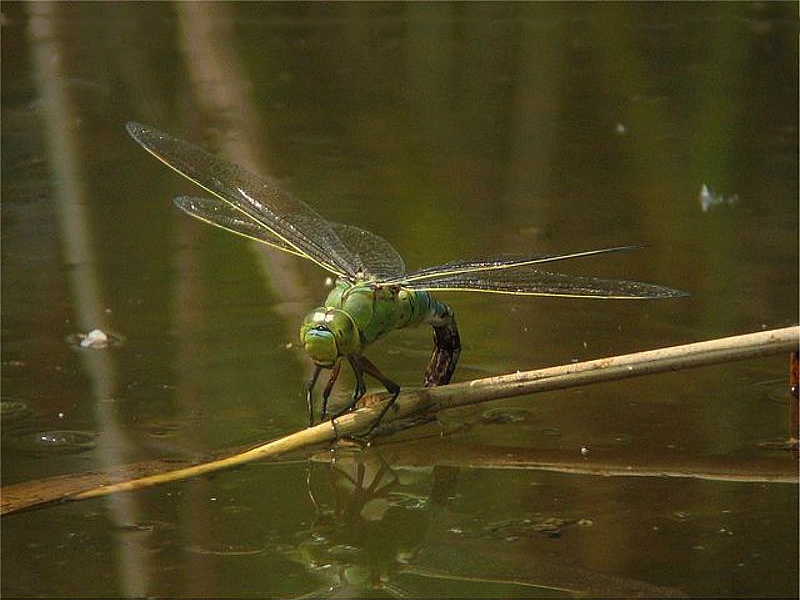 Lavell’s Lake and the surrounding area offer excellent opportunities to see dragonflies and damselflies, with many of the UK’s species on the wing on sunny days during the summer. 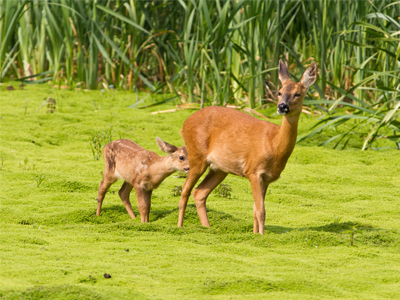 Each species has its own habitat preference and behavioural characteristics. 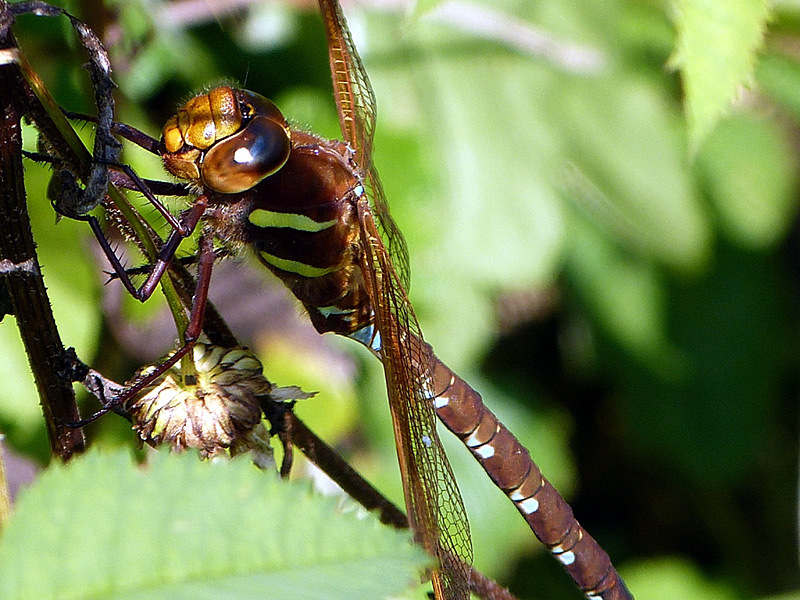 Dragonflies are significantly larger than damsels and, when settled, they hold their four wings at right angles to their body. 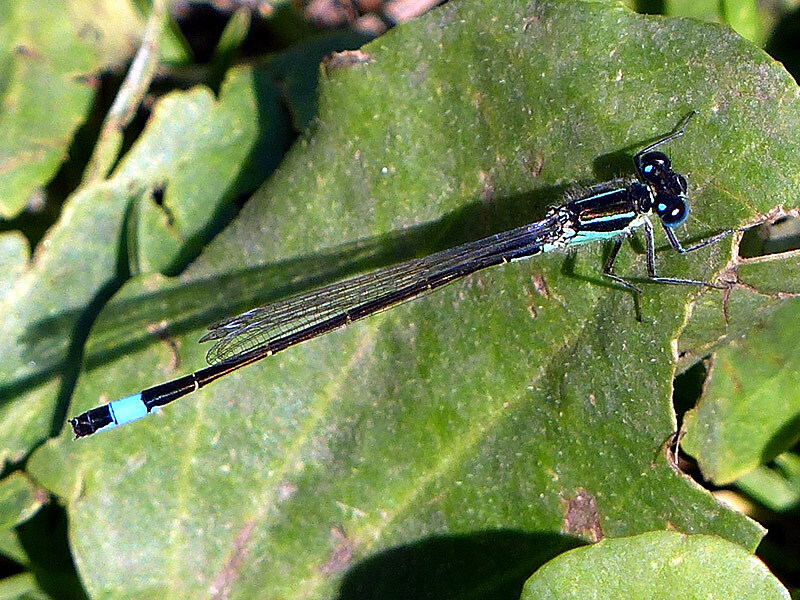 Damselflies are smaller, with much slimmer abdomens. Almost all have their wings folded over their abdomen when settled. Prior to mating, the male will grasp the female just behind the head and it is not unusual to see them flying, joined together in tandem, after this has happened. 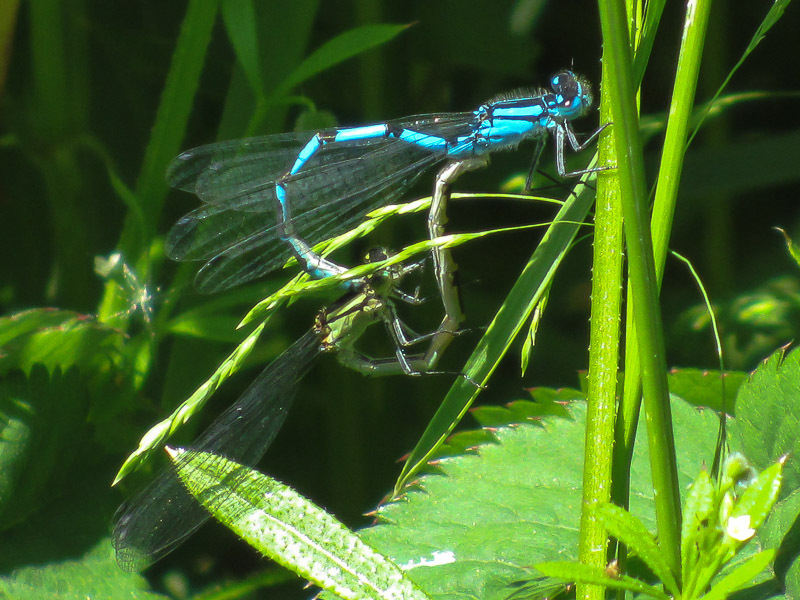 Mating will generally take place on vegetation when the pair can be seen in a “wheel” position with the tail of the female under the front of the male’s abdomen. In some instances, this takes place in the air and they can be seen flying in this “wheel”. 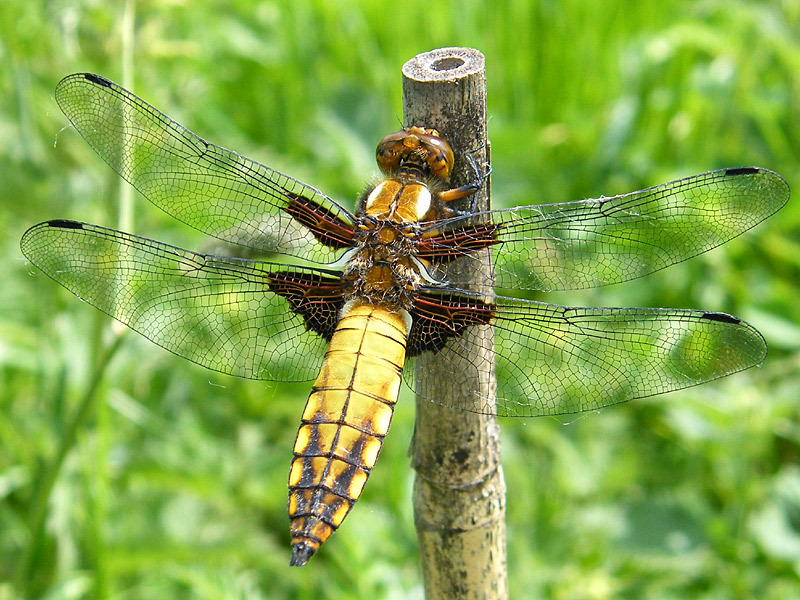 More information on the many species can be found at the British Dragonfly Society. 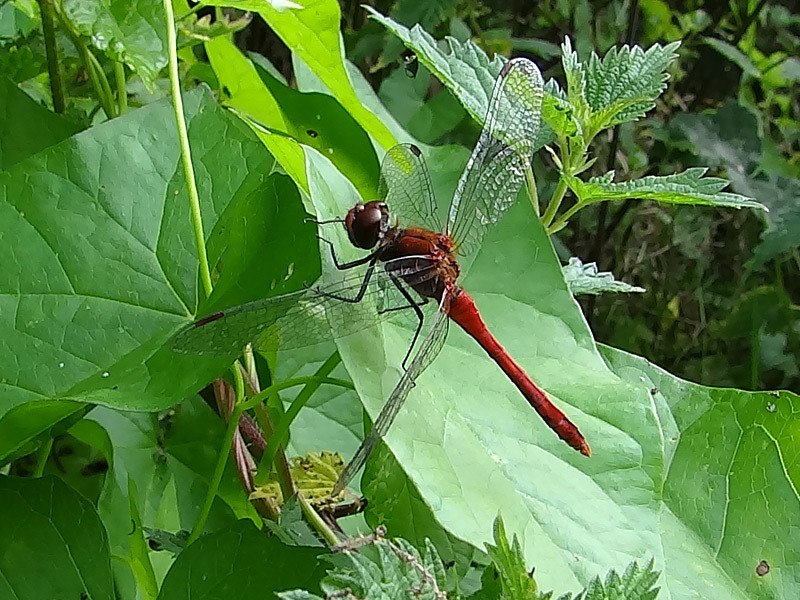 Here are some images of dragonflies and damselflies seen at Dinton Pastures and along the River Loddon. 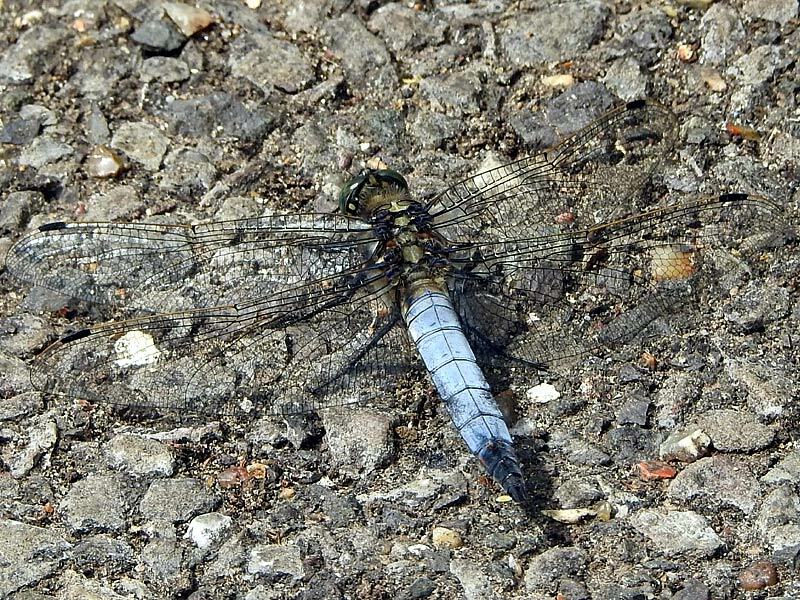 Emperor (Anax imperator) – our largest dragonfly, seen frequently between June and August hunting over all the lakes and ponds as well as along the paths, hedgerows and meadows. 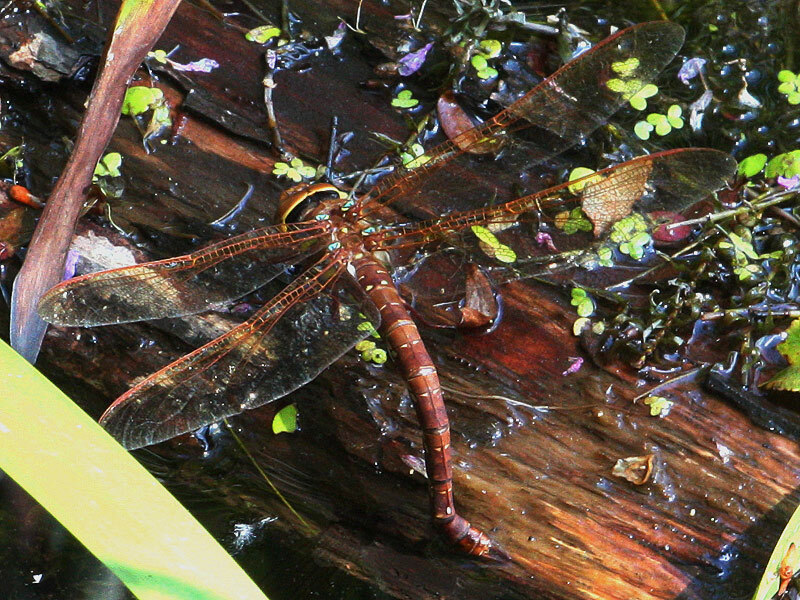 Brown Hawker (Aeshna grandis) – large dragonfly characterised by the bronze colouring of its wings. 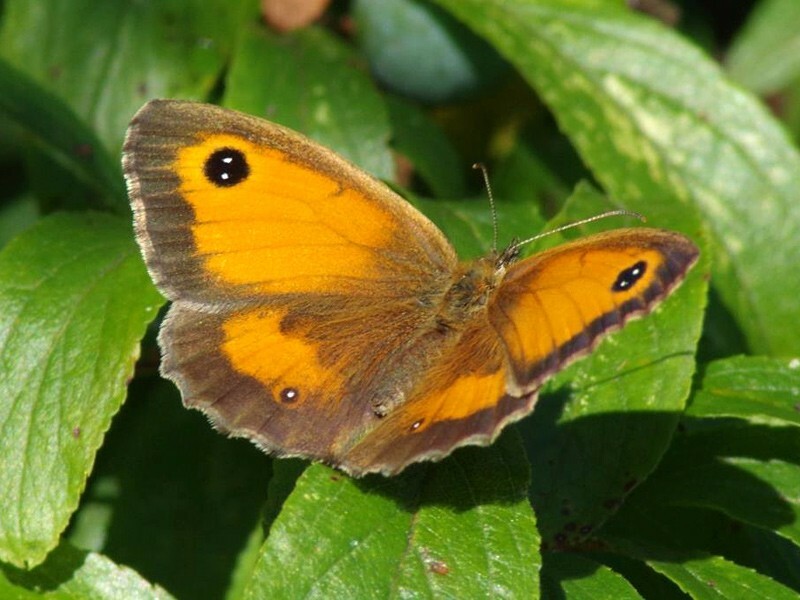 It can frequently be seen hunting along the hedgerows and paths through summer until October. 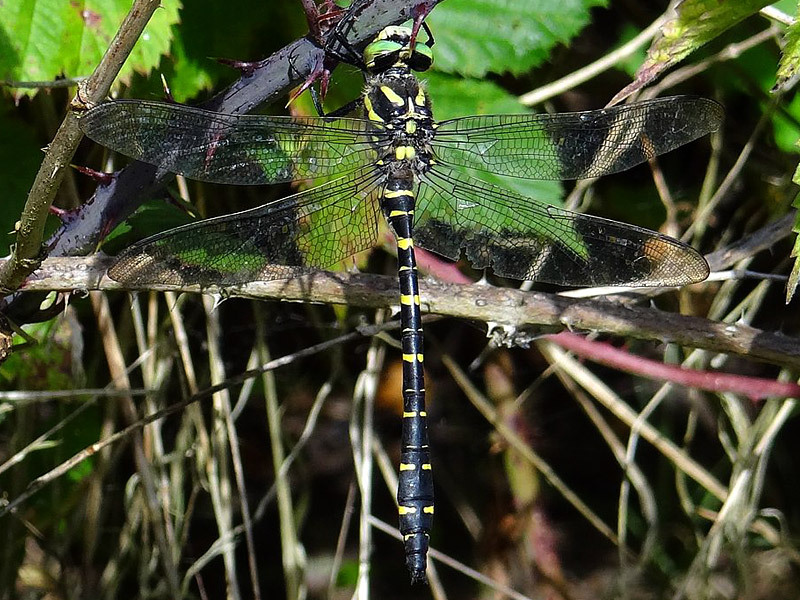 Southern Hawker (Aeshna cyanea) – large dragonfly seen along the woodland rides and hedgerows around the reserve from July until October. It is unusually inquisitive and can approach quite close to observers. 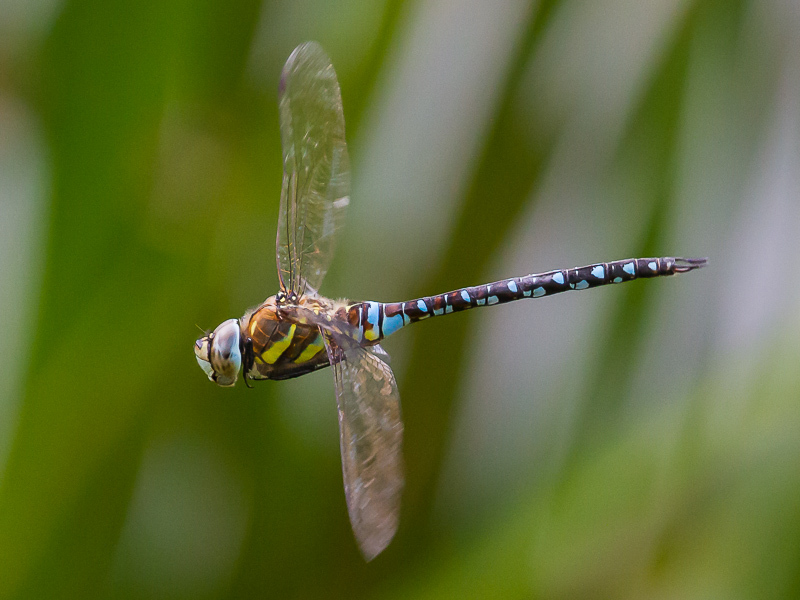 Migrant Hawker (Aeshna mixta) – slightly smaller and with a later flight season, from late July until autumn. 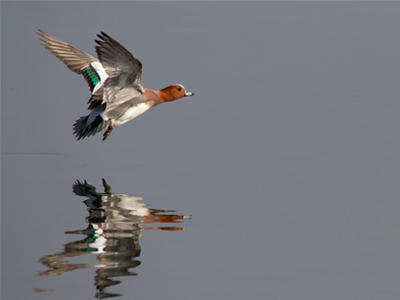 As well as individuals, groups can be seen flying together along the tops of hedgerows, in woodland glades, along the Loddon and around reed beds such as next to the hide at Lea Farm GP. 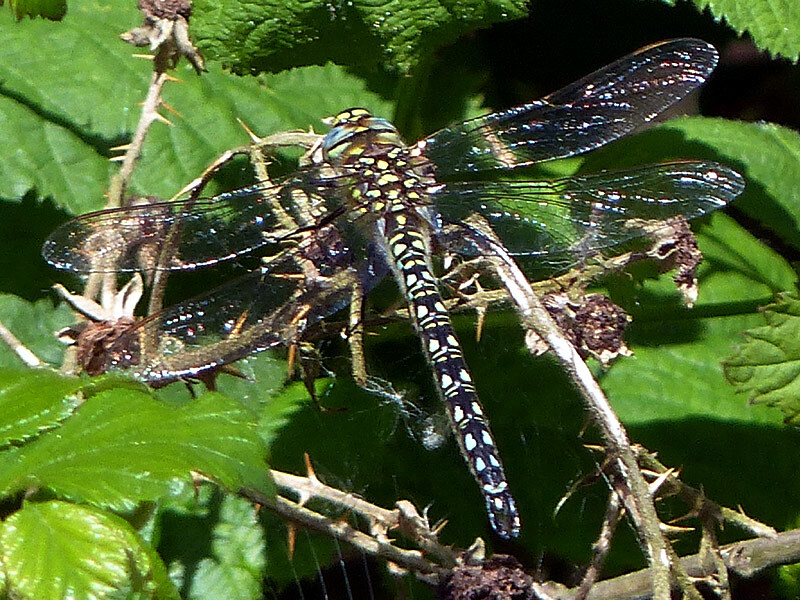 Hairy Dragonfly (Brachytron pratense) – medium sized Hawker with an early but short flight season, from about the middle of May to the end of June or early July. It is a recent arrival at the reserve and the odd one can be seen along the Loddon or around reed-fringed edges to the lakes. 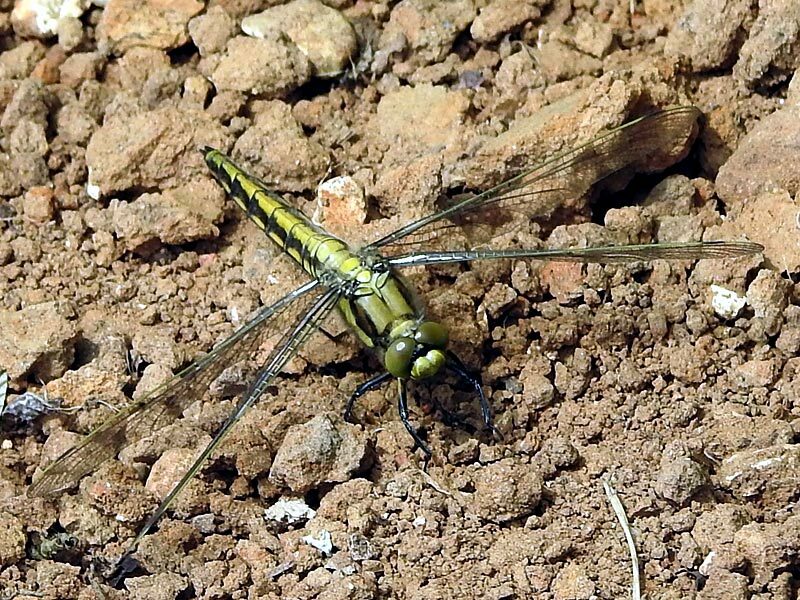 Black-tailed Skimmer (Orthetrum cancellatum) – a fast-flying, medium-sized dragonfly with a flight season that generally lasts from around late May to early August. It has a habit of basking on bare ground and paths and can sometimes be seen over and along the banks of lakes and ponds. Common Darter (Sympetrum striolatum) – a small dragonfly with a late flying season, from July until well into the autumn. It can regularly be seen over the lakes as well as perched on the ground or on wooden seats and structures such as the handrails of the green bridge on the way to the Ron Bryant Hide. 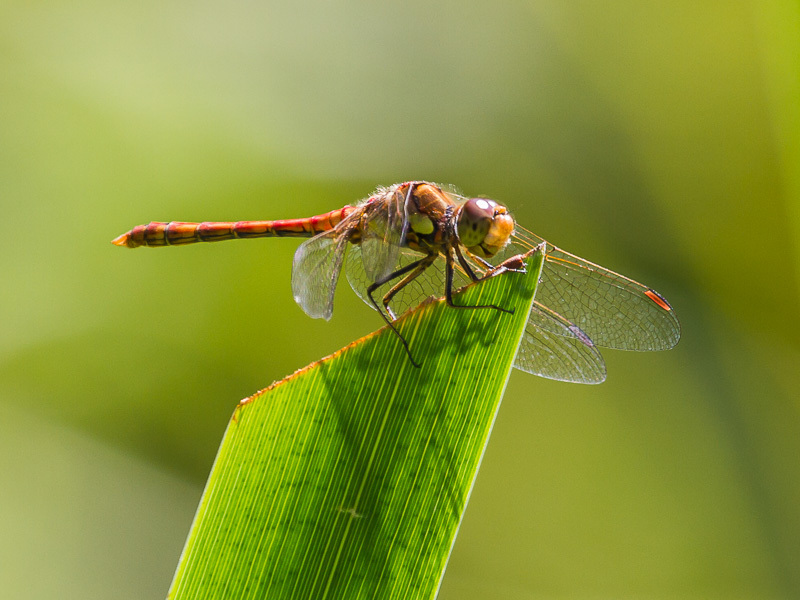 Ruddy Darter (Sympetrum sanguineum) – sometimes mistaken for the Common Darter, this species is seen in similar places but in smaller numbers. 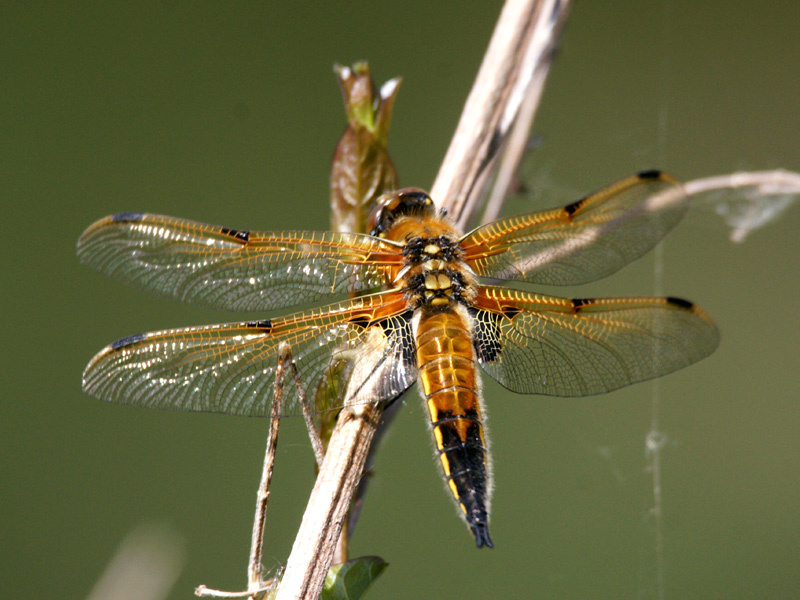 Four Spotted Chaser (Libellula quadrimaculata) – moderately sized and aggressive, they are not often seen at the reserve but may occasionally be found on the margins of the smaller lakes and ponds from late May until August. 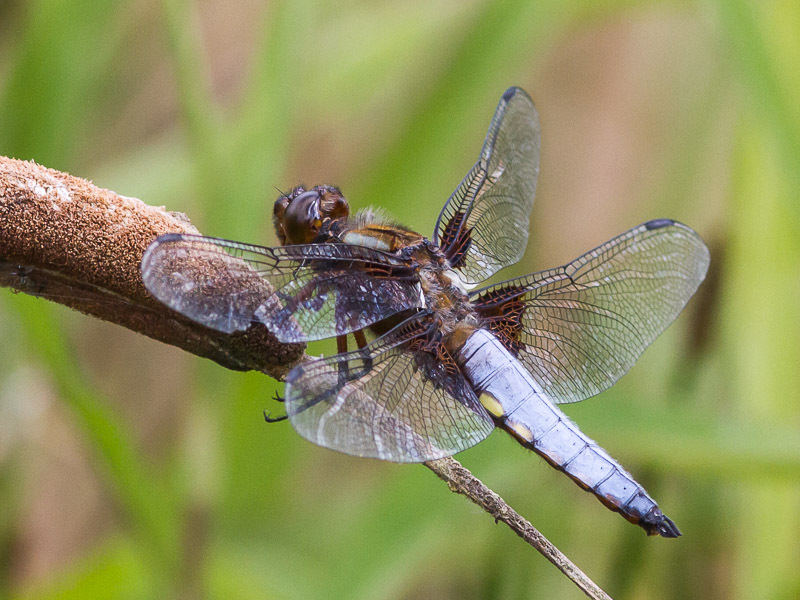 Broad Bodied Chaser (Libellula depressa) – another species not often seen at the reserve, this medium-sized dragonfly can occasionally be found at smaller lakes and ponds from late May until early August. 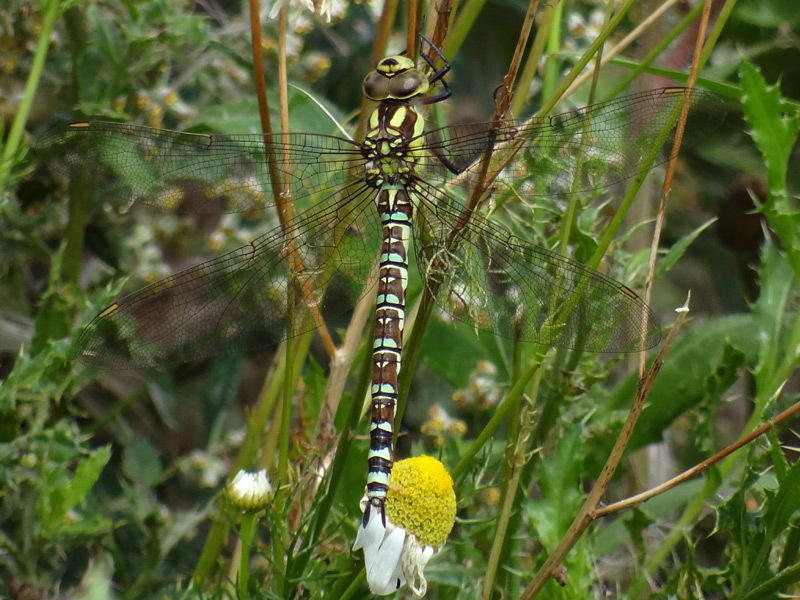 Unusual visitors to the reserve have included the Downy Emerald (Cordulia aenea), Golden-ringed Dragonfly (Cordulegaster boltonii) and Common Hawker (Aeshna juncea) . 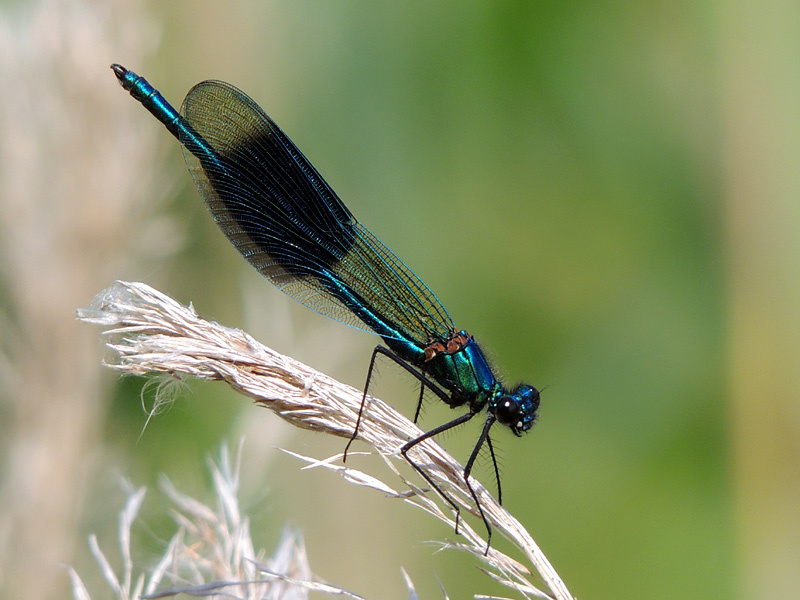 Banded Demoiselle (Calopteryx virgo) – seen in good numbers during the summer months and into early September. They can sometimes be seen around the lakes but more regularly along the Loddon, particularly the stretches adjacent to White Swan Lake and between Sandford Lane and the Ron Bryant Hide. 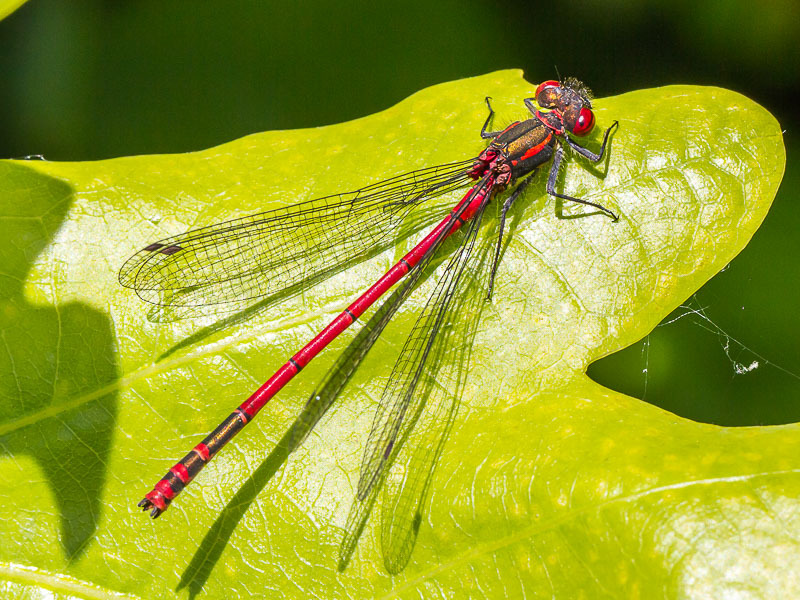 Large Red Damselfly (Pyrrhosoma nymphula) – generally the first damselfly seen, normally flying from April / May through to July. Occasionally seen around the shores of the lakes but more often along the Loddon. Common Blue Damselfly (Enallagma cyathigerum) – the most numerous damselfly that can be seen throughout the reserve during the summer months. 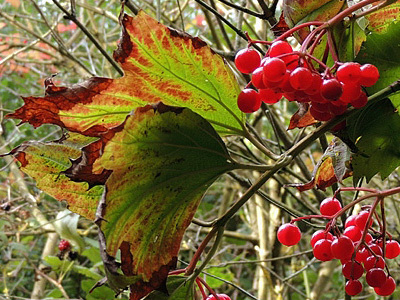 Particularly good spots are along the path between the Loddon and Sandford Lake, the path between the Sandford Lane car park and Bittern Hide and flying over and around White Swan Lake. 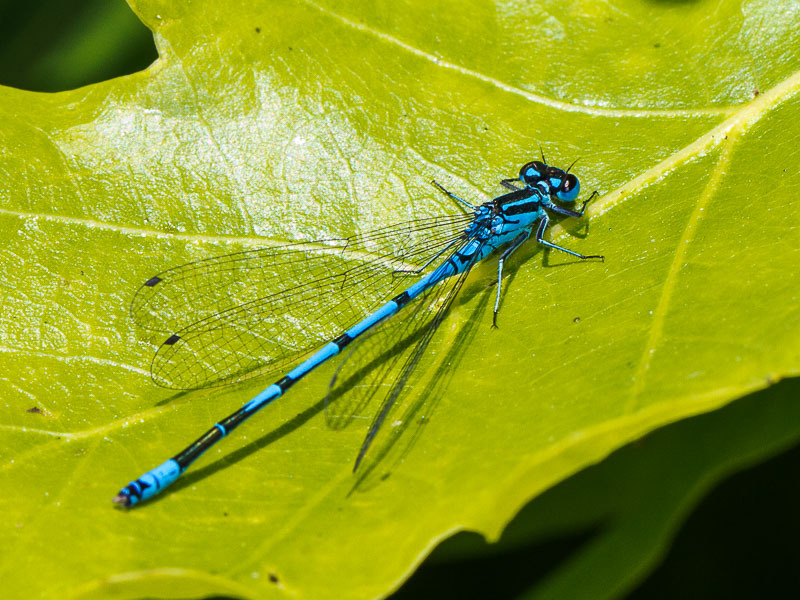 Azure Damselfly (Coenagrion lunulatum) – easily confused with the Common Blue and present in only very small numbers, they can be seen around the smaller ponds and lakes, such as Middle Marsh, until around the end of August. 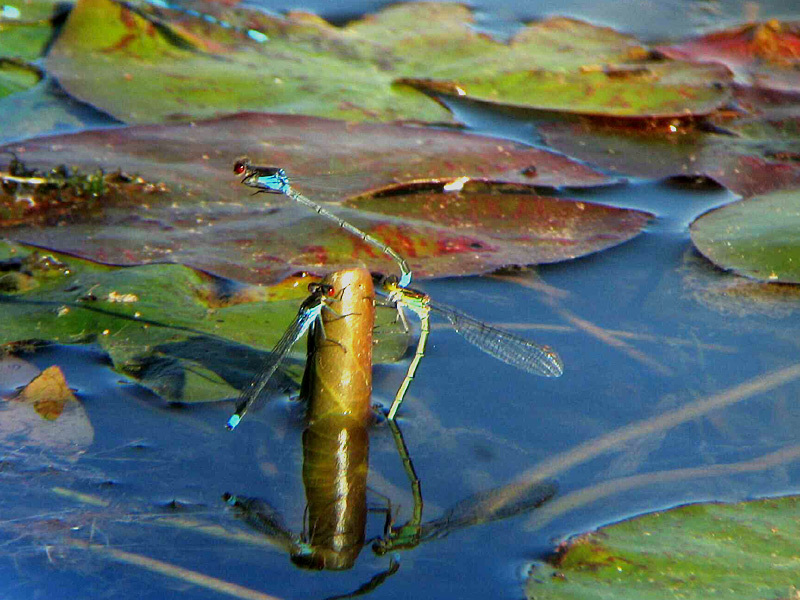 Blue-tailed Damselfly (Ischnura elegans) – seen in small numbers around the reserve throughout the summer, for instance around the reeds and edges of White Swan Lake, Middle Marsh and Lavell’s Lake, as well as occasionally in the the bankside vegetation and reeds along the Loddon. Red-eyed Damselfly (Erythromma najas) – seen flying low over the lakes and perched on floating vegetation until about August. Good spots are at Lavell’s Lake, where they can often be seen from Bittern Hide, and White Swan Lake.